I am a nail polish addict. With a collection of over 100 polishes, I am always trying out new colours and sporting different shades. I don’t go for formal manicures very often and usually when I do I get Shellac or gel nails because the colour lasts longer and I find it justifies the purchase of a mani (let’s be honest, who also hates when you go for a manicure and the colour chips the next day?). Gel manicures can be rather expensive so I don’t go that often, but lucky for us DIY girls, a number of companies are offering up at-home gel kits. 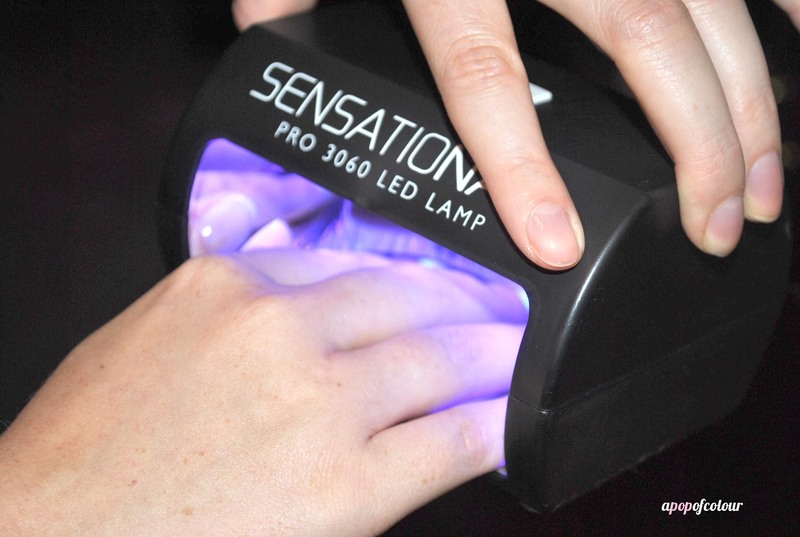 One such company is SensatioNail. 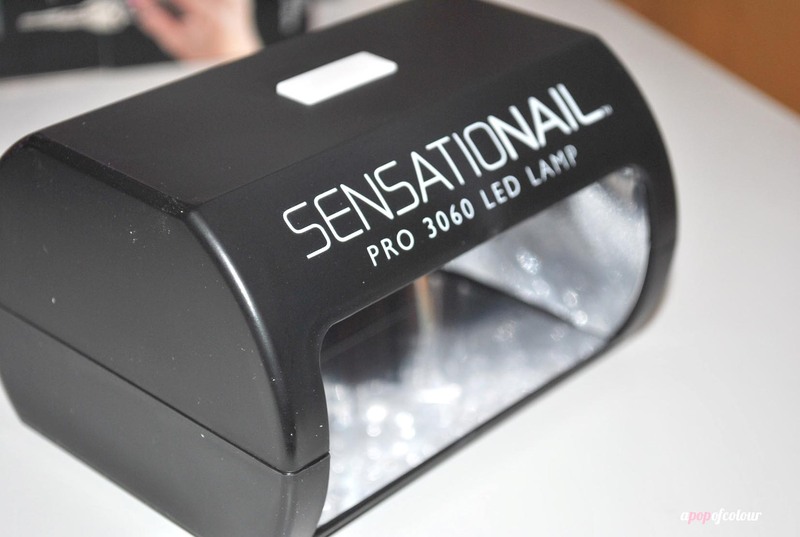 I received the SensatioNail starter kit a couple weeks back and was so excited to dive in and try it out. These kits have fascinated me for a while, but with the hefty price tags for them (this one retails for $89.99 at Shopper’s Drug Mart – the only place I have ever seen it), I wasn’t sure if I wanted to splurge. 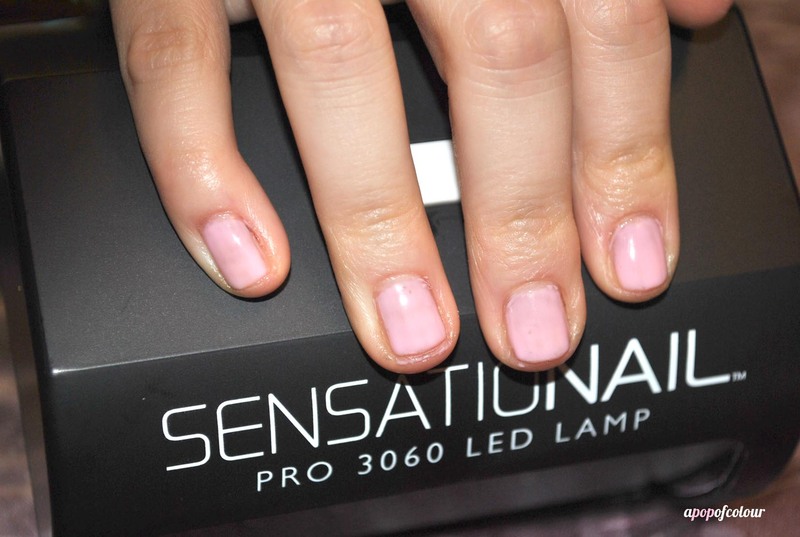 The SensatioNail starter kit comes with a Pro3060 LED lamp, primer, cleanser, clear base/top coat, colour coat (I received the colour Pink Chiffon), lint-free wipes, buffer file, and an orange stick. The starter kit alone comes with enough stuff for 10 manicures. The process is pretty simple, but definitely more time consuming compared to a regular ol’ mani. 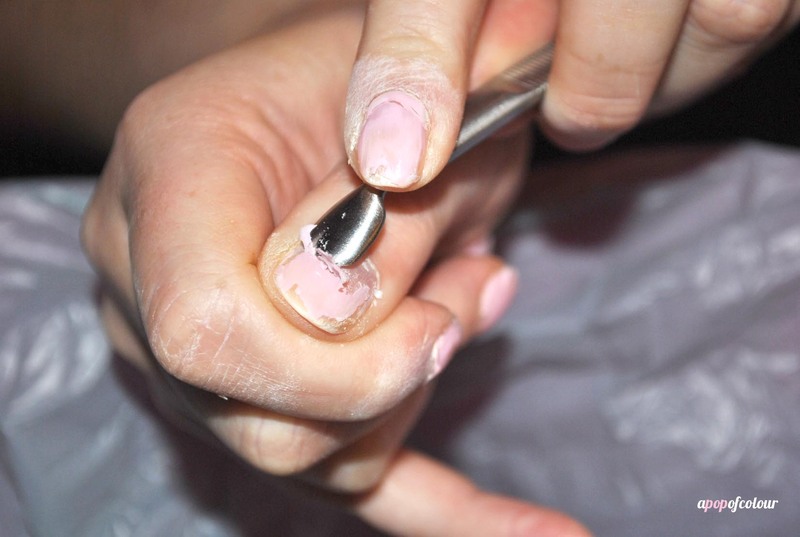 Remove any existing polish from nails and push your cuticles back. With the file, shape your nails then buff off the shine from your natural nail. Make sure you don’t over-buff, then remove any debris. 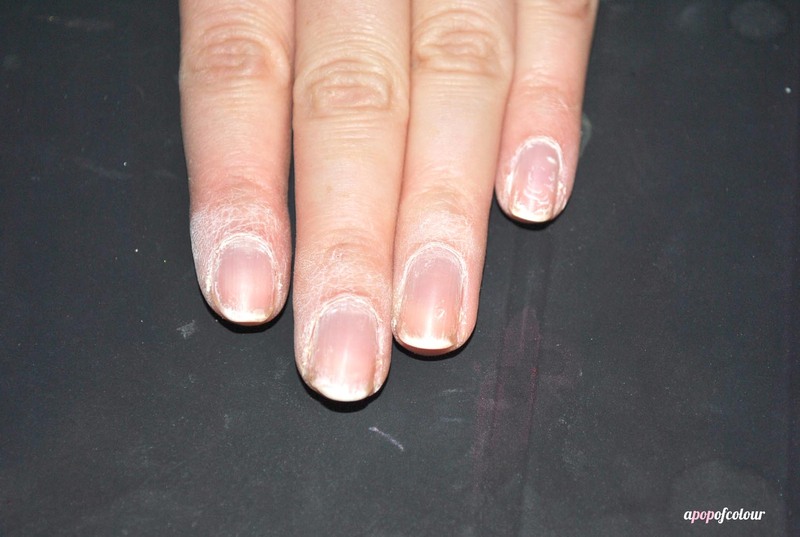 Using the lint-free wipe, clean your nails with the gel cleanser, and allow them to air dry for 15 seconds. 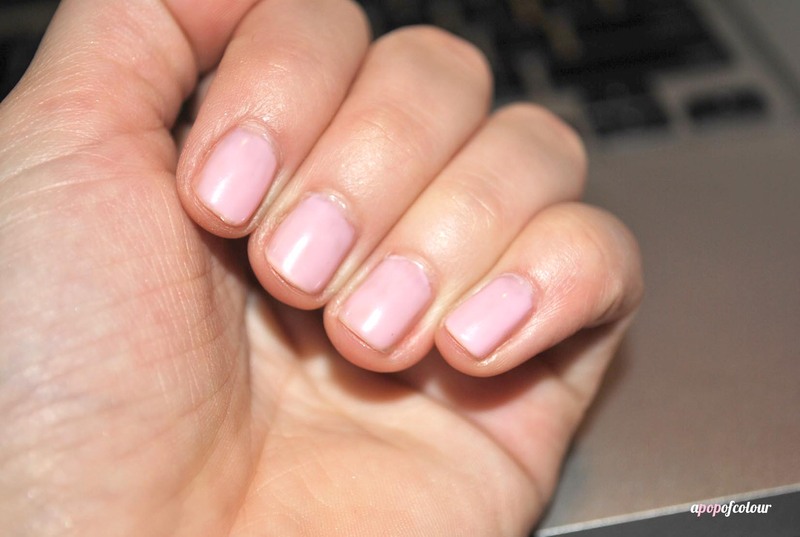 Apply a layer of gel primer to your nails sparingly. Apply a thin layer of the gel base & top coat to your nails (avoiding the cuticles and edges), cap your nail with the brush, then cure it for 30 seconds. The LED lamp actually beeps after 30 seconds then fully turns off after a minute. Shake the colour polish, then apply a thin coat to your nails, making sure you cap the top of your nails. Cure for 60 seconds. Apply a second coat of the colour polish then cure for another 60 seconds. Apply a thin layer of the gel base & top coat then cure for 30 seconds. Remove the moisture layer with the gel cleanser and the lint-free wipe. And that’s it! After the process is done (the first time took me like 15 minutes), you are left with shiny nails that are totally dry and good to go. I love the colour that I received in my set, however, I would go with a thicker layer or even a third layer to make it more opaque next time around. This kit promises up to 10 days of wear for your manicure. After a week mine was still looking perfect, only one nail had a slight chip in it. My friend and I had a gel polish party (so we did it at the same time), however, her nails were a lot more chipped after a week so she had to remove the polish after seven days. I removed mine after 11 days, so I would say that’s pretty good. After five days of wear. As for removal, since peeling the polish off can damage your natural nails, there is a separate kit and removal tool you can purchase to safety remove the gel. 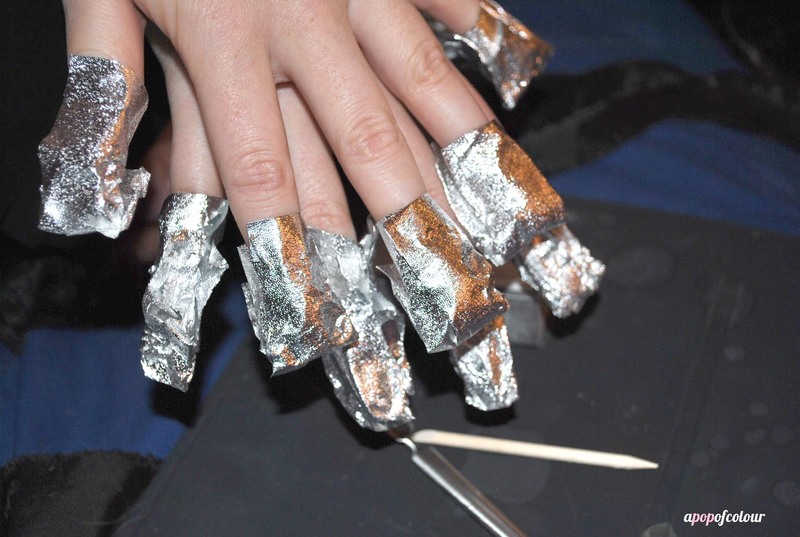 The Gel Polish Removal Kit comes with three sets of tin-foil wraps (10 in each set) that have a cotton pad in them that you soak in acetone then wrap around your fingers for 15 minutes to break up the polish. 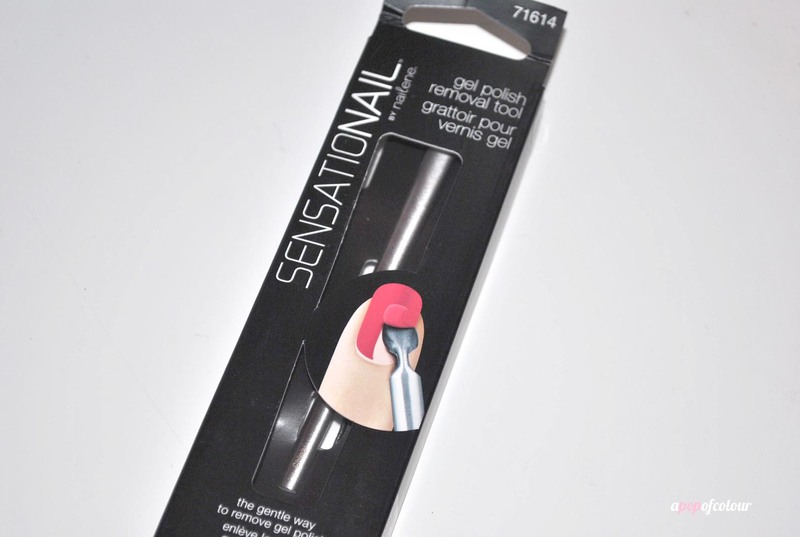 You can also buy the Gel Polish Removal Tool, which you use after to scrape off the gel. These are each sold separately; if you don’t want to use the tool you can use the orange stick that comes with the removal kit. 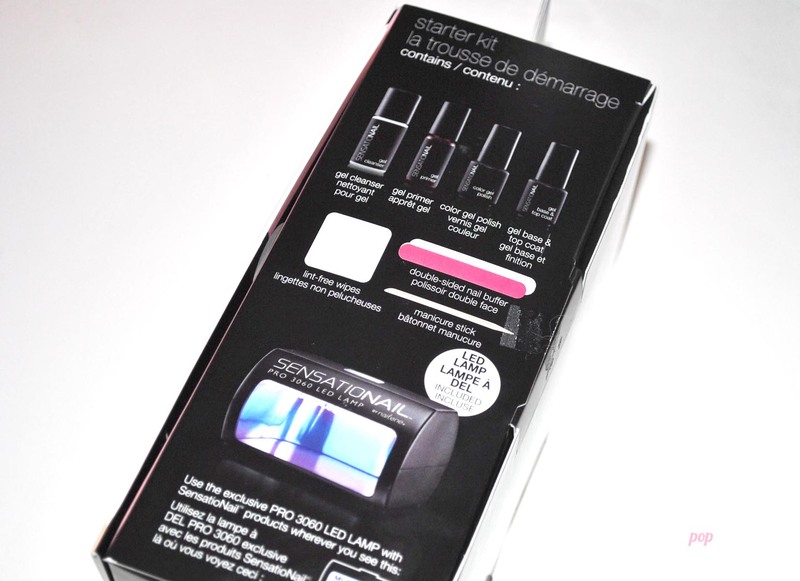 The removal kit also has a four-sided buffer/file/polisher thing that you also use to bring your nails back to life. Personally, I think these products are a money grab and wouldn’t recommend buying them. Just use tinfoil and a cotton pad, that’s essentially what it is. I also don’t like how the removal tool is sold separately, it should be a package deal. You also need acetone, which the kits don’t come with. 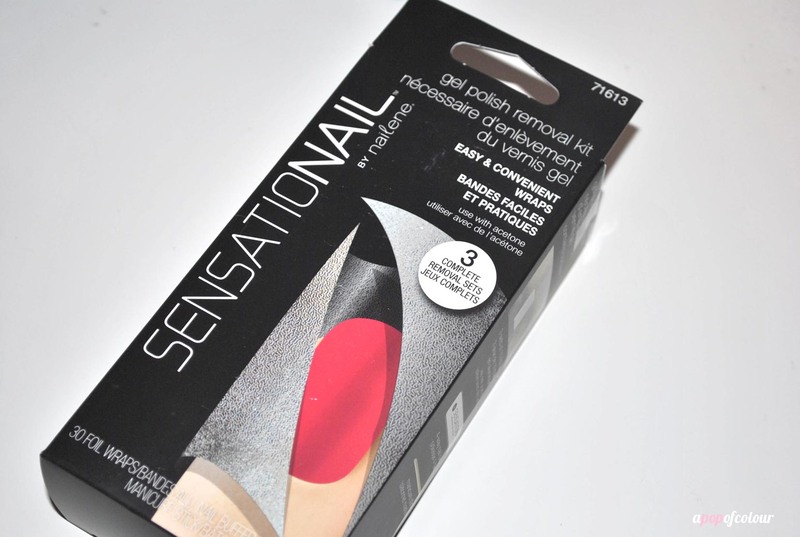 Overall, for an at-home gel manicure kit, this one does the job perfectly. My nails were perfect up until that 10 day mark, when unfortunately I was a bad girl and peeled off all the polish (don’t judge me, my nails hate me already). If you are a frequent gel addict, I would highly recommend this, however, be prepared to fork over a lot of cash, especially if you are in Canada like me. The only place I have seen this kit is at Shopper’s Drug Mart (for some reason, Wal-Mart has the removal kit, but that’s it). Like I said, the starter kit is $89.99, but comes with one colour. Each colour retails for $16.99 each, which is more than your average nail polish (although they did have a sale on select colours a couple weeks back for $12.99 each). Personally, I find the whole thing to be very expensive for what you get. 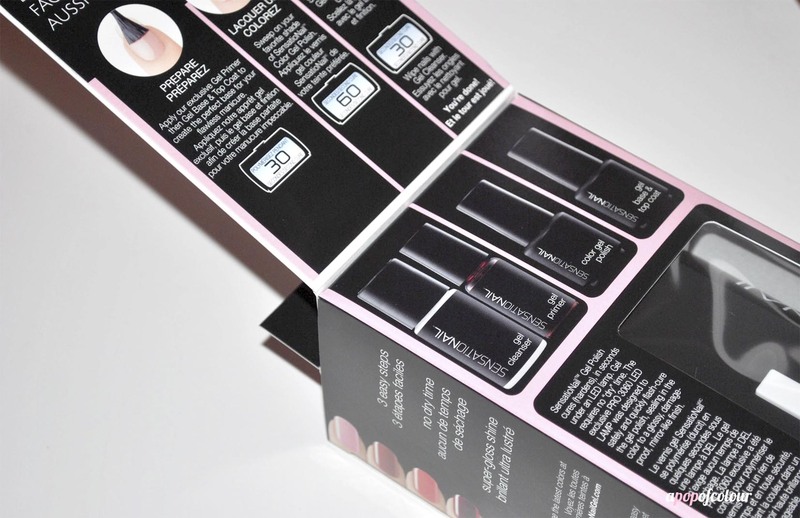 The bottles of product in the set are very small and the process takes a lot longer than a typical nail polish application. The removal is even worse and would definitely make me not want to paint my nails using this product. Now with that being said, I will be buying more colours to try out (especially dark ones for fall), because I really love how my nails looked and it was nice to not worry about finding time to paint them or remove the polish every few days like I would using the regular stuff. I know that depending on where you go, gel or Shellac manicures can be super expensive or super affordable, so it’s up to you if you want to invest in this product. Personally, if I had to buy the set (mine was sent to me from PR), I wouldn’t spend $89.99 on it, mostly because it would end up costing me way more in the long run (if I’m spending that much on it I would want a few different colours to play around with), and as a result, the total cost can add up pretty fast. If you are interested in the kit, I would recommend seeing if you can find it for cheaper online or even through eBay. I also understand that it’s much cheaper in the US. 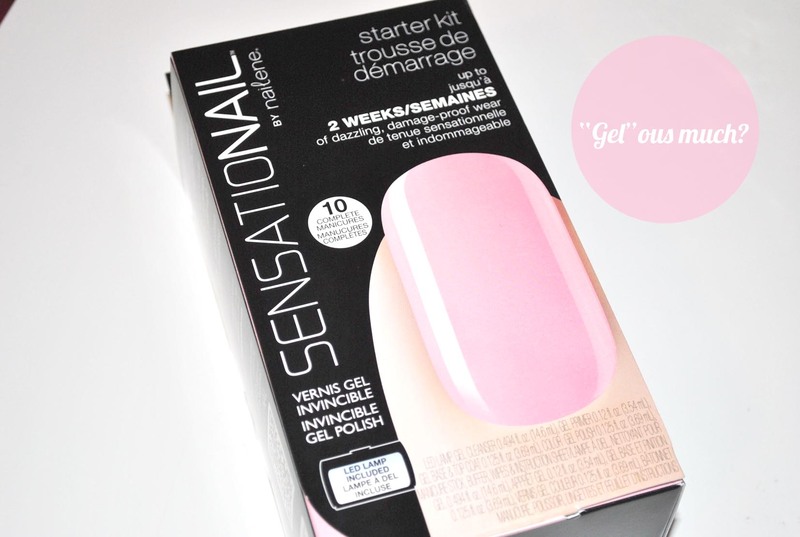 Have you tried the SensatioNail Gel Manicure kit? If so, what were your thoughts? Please note, I was sent this product for review purposes. All opinions are my own.